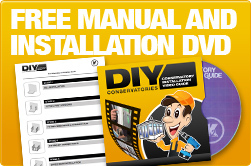 The DIY Conservatories website (“diyconservatories.co.uk”) is operated by APB Media Ltd incorporated in England with number 08313176 at the registered office address Ford House, Market Street, Leek, Staffordshire ST13 6JA. References to “you” and “your” are to the individual reading and using our website. For convenience we use the words “information” and “data” interchangeably. 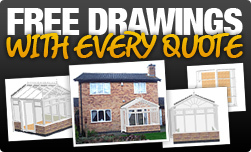 “Website” means “diyconservatories.co.uk”. “the company” means “APB Media Ltd”. 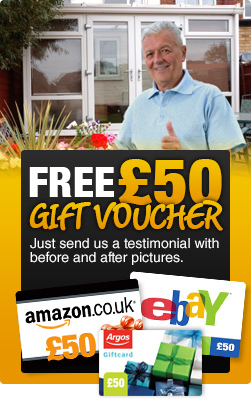 We are committed to maintaining the trust and confidence of visitors to our website. In particular, we want you to know that we will never share your personal information with anyone outside of the company. We collect your personal information to enable us to provide you the service(s) for which you requested on our website. We collect your personal data along with other product specific information to enable our service provider to provide a customised quotation for you. They may contact you if any questions arise during the preparation of your quotation. Once the quotation is complete we will email this to you and may contact you by telephone to discuss the quotation in detail. They may need to share your personal details with manufacturers should they need to do so for any deliveries to be made direct from suppliers. Please be assured – we will not use your details for marketing or use or pass your details to third parties other than as described in this statement without clear permission from you additional to that described above and we require matching contractual assurances from our suppliers to keep your data safe. Finally, the transmission of information via the Internet is not completely secure. Although we will do our best to protect your personal information, we cannot guarantee the security of your information transmitted to our site; any transmission is at your own risk. Once we have received your information, we will use strict procedures and security features to try to prevent unauthorised access. What are my rights in relation to the personal data that you hold? Your rights are embodied in the contract formed between us when you visit the website (as subsequently augmented when submitting your personal information and, if we call you, when speaking on the phone) and as contained in the General Data Protection Regulations 2018 – also known as GDPR. If you have any questions or concerns please first read this section of the statement and email our Data Protection Officer on privacy@diyconservatories.co.uk who will be pleased to assist before as well as after you may have provided personal information to us. The GDPR provides individuals with the rights in relation to personal information about themselves which is held by us as summarised in the table below. Some of the rights are unlikely to be of practical use. For example, if you wish for a copy or correction or cessation of use of some or all of your personal data we, our suppliers and our other introducing companies are likely already to have eradicated it from our or their system given the short periods your date is retained and its limited use. Nevertheless the GDPR principle of transparency in particular provides you with the right to enquire and to be informed and we briefly set out all of the rights here. Further information about the rights and the circumstances in which they apply may be obtained from a number of published sources and from our fact sheets which are available on request. Information Right – you may require us to provide a more detailed explanation of how we collect, process and use your personal information. Personal Data Access Right – you may require us to provide an electronic copy of your data free of charge. Personal Data Correction Right – you may require us to correct your personal information as held by us. Personal Data Erasure Right – you may require us to permanently erase the personal data that we hold about you. Data Processing Restriction Right – you may require us to stop using your data for particular purposes such as mailing or profiling. Data Processing Objection Right – you may require us to suspend using your data if for example it is incorrect or you simply wish to withdraw your consent. Data Portability Right – you may require us electronically to transfer your personal information to another supplier, for example to facilitate switching. Automated Decision-Making Right – you may require us not to make decisions about you relying solely only on a computer decision. Breach Notification Right – if in the unlikely event there occurs a breach of security which is likely to result in a high risk to your rights as a data subject, we must inform you without undue delay. How do I remove my details from your system to opt out of any further email, phone or other direct communications? If you wish to request the removal of your data from our system or to find out what information we hold, please contact us by email at privacy@diyconservatories.co.uk or contact us by post at our registered office shown above.